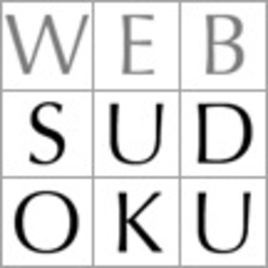 Web Sudoku runs WebSudoku.com, the most popular Sudoku website on the Internet with 250,000 unique visitors daily. The company, which is based in Israel, runs in four different languages ? English, Spanish, German, and French. Its customers include Mensa and The Chicago Sun-Times. Web Sudoku uses SourceGuardian to encrypt the PHP files that it provides customers as part of its Sudoku engine package. With SourceGuardian, the company can provide an OEM/white label version of its engine for safely embedding in third party sites. Its customers can customize the look and feel of the sites by modifying HTML and CSS, but the code of the core Sudoku engine remains unreadable. Flash-based solutions would not make this possible. SourceGuardian supports Web Sudoku?s subscription model so that customers can purchase new puzzles for use with the engine every year, but it prevents customers from sourcing the puzzles elsewhere. The software also supports Web Sudoku?s per-domain pricing model. It allows the company to prevent the engine from being used on any domain names that it has not expressly permitted. "Your software is great and I am using it extensively"